Welcome to Kinzeler Realty, and thank you for letting us help you research the local Real Estate Markets of Dayton, Kettering, Oakwood, Centerville, Beavercreek, Bellbrook, Springboro and Miamisburg. Whether you’re a first time buyer or an experienced investor, Kinzeler Realty can help you, as we have been involved in the Dayton, Ohio Real Estate market for over 24 years. Kinzeler Realty is a family run business with over 55 years of providing superior customer satisfaction. We pride ourselves on treating every client like an extended family member. Contact us today at (937) 776-5055 or kinzelerrealty@gmail.com so we can give you our undivided attention. Mantica and Associates at Kinzeler Realty is comprised of four expert sales agents: Ralph Mantica, Kathy Mantica, Dave Kinzeler and Cindy Obringer. 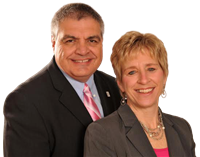 Owner and broker, Ralph Mantica, moved to Dayton in 1976 to attend the University of Dayton. Ralph graduated in 1980 with an engineering degree, two short years later married Kathy and in 1986 joined his father-in-law’s real estate business. In addition to holding his Broker’s license, Ralph has earned the elite CRS (Certified Residential Specialist), the ABR (Accredited Buyers Representative), and GRI (Graduate Realtor Institute) designations; top distinctions in the real estate profession. Ralph remains active in real estate at the local, state, and national levels. Ralph is a member of the National Association of Realtors (Director 2015), the Ohio Association of Realtors, and Dayton Area Board of Realtors (2015 President). He was awarded the 2017 Owner/Manager of the Year by Dayton Realtors. Ralph is currently serving as the 2018-2019 Ohio Realtors District 5 Vice President and 2018 CRS State Finance Chair. He is also the 2018 NAR Appointed State RPAC Major Investor Chair. Kathy Mantica is a lifelong resident of Dayton, having grown up in the Oakwood area. Kathy has worked in the family real estate office for the past 30 years and has been actively selling for the past six years. Prior to that, Kathy worked at home raising her and Ralph’s three sons, Chris, Mike and Tim. Cindy Obringer, a University of Dayton alumni, recently retired from Wright Patterson Air Force Base after a 30-year career in engineering. Upon retirement, Cindy joined Kinzeler Realty and The Ralph Mantica Group as a Real Estate Agent. Dave Kinzeler has been a full time Real Estate Agent since 1973. Dave is a life long south Dayton resident and United States Marine Corp veteran. Again, thank you for visiting Kinzeler Realty and we look forward to assisting you with all of your home buying needs.